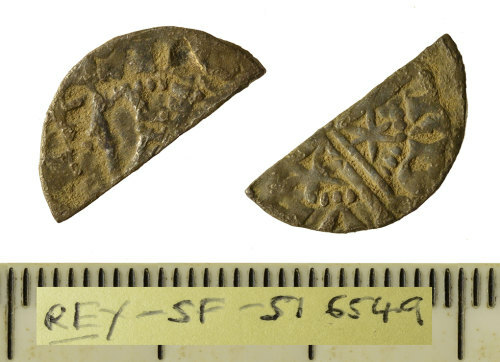 A silver hammered cut-halfpenny struck for Alexander III of Scotland, dating c. 1250-1280. 'Long cross and stars' issue, probably type V, uncertain mint and moneyer. As Seaby 1984, p. 9, no. 5045.